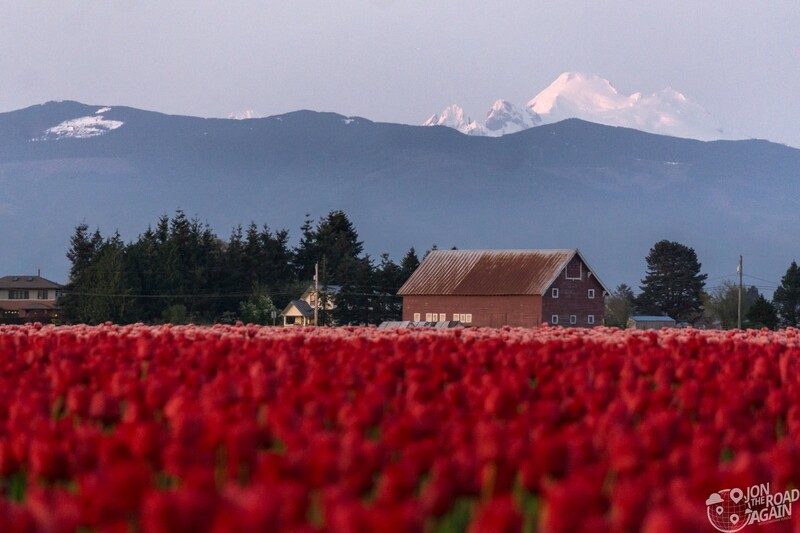 As we approach the last day of the tulip festival, the Skagit Valley is sure to be bursting at the seams with tourists and locals alike attempting get their last glimpse of the colorful fields. 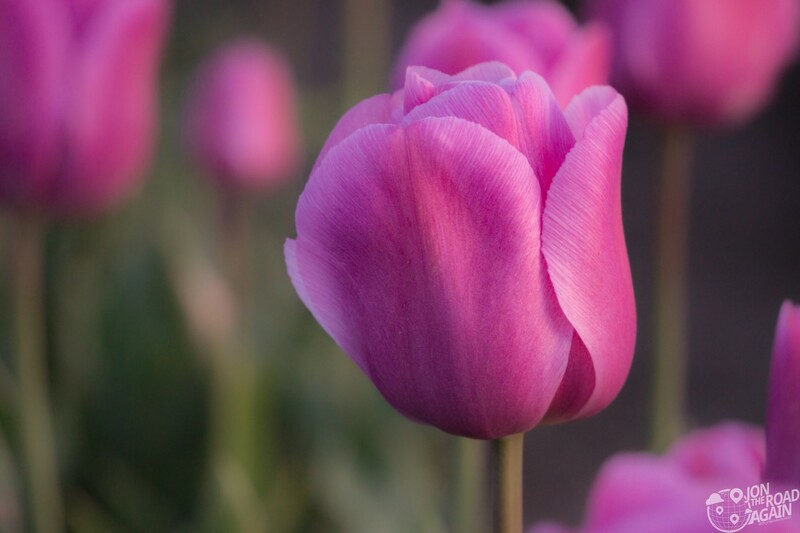 If you’re new to the tulip festival, be sure to check out my main Skagit Valley Tulip Festival post and my post specific to Roozengaarde, a popular display garden. Tonight, my visit is on a weekday evening near the last day of the tulip festival. Late season and mid-week, there aren’t any crowds. Just a few visitors to share the field with tonight. 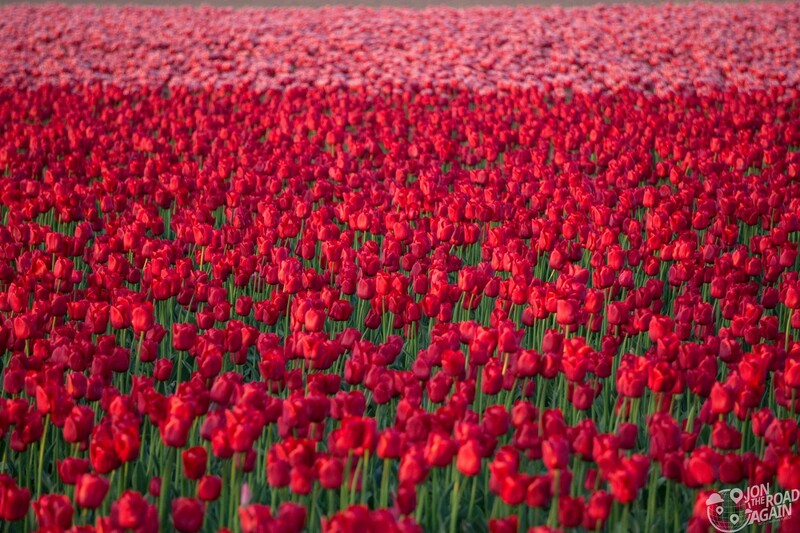 The size of the fields and the endless repetition of flowers make it easy to overlook the individuality of the blooms. But take a knee and get close to the tulips and you’ll find something interesting and different in each one. To the east, the sun sets behind Mt. Erie, the highest point on nearby Fidalgo Island. Mt. Erie is one of my favorite viewpoints on the Puget Sounds and worth a trip, especially if you’re a local or staying in the area for a few days. To the northwest, the last rays of sunset hit Mount Baker; itself a magical place we visited in the summer. Walking the field all alone is something I’ve never experienced before tonight. I’m really lucky to be able to visit the fields and take photos without humans milling around, walking where they shouldn’t, and generally being obnoxious. Humans are the worst, aren’t they? It’s a tough assignment, dear reader. Sometimes these paths look convincingly dry when actually underneath that dry crust is an ocean of mud. 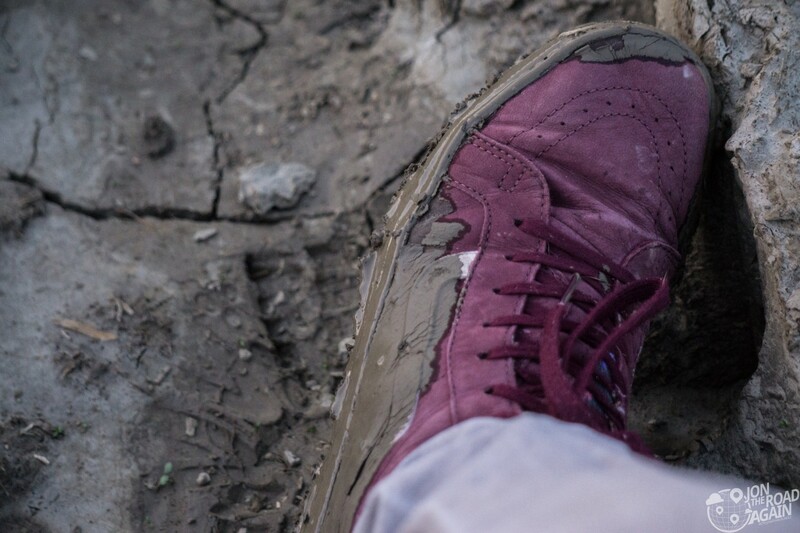 My poor shoes. 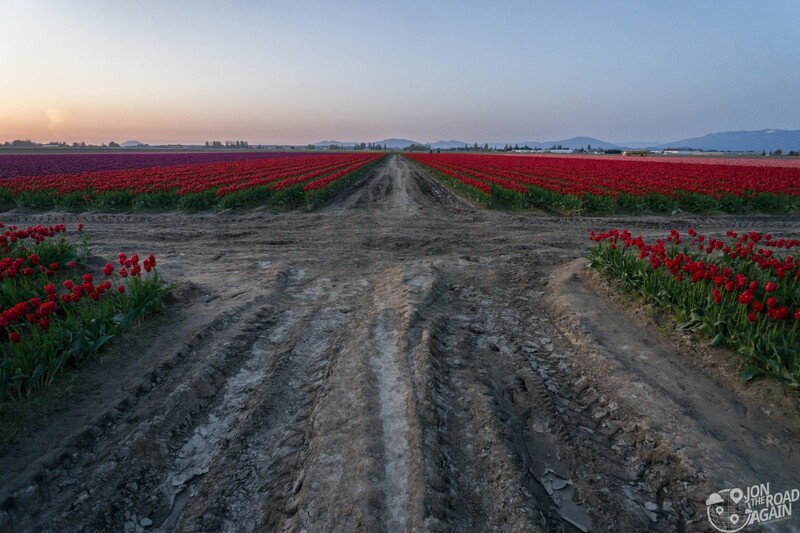 The beauty of the tulip fields is a worthwhile pursuit, even if that means a little dirt on your shoe. This little decapitated tulip accepted its swampy fate with more dignity than me with my newly two-toned shoe. Sunlight has given way to moonlight out here in the fields. 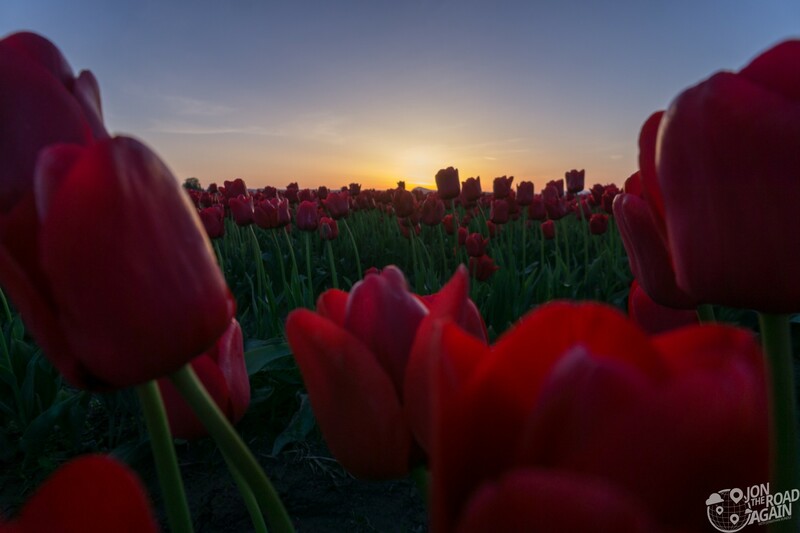 The last day of the Tulip Festival draws nearer. The Skagit Valley will soon be dark and I’ll have to head home. 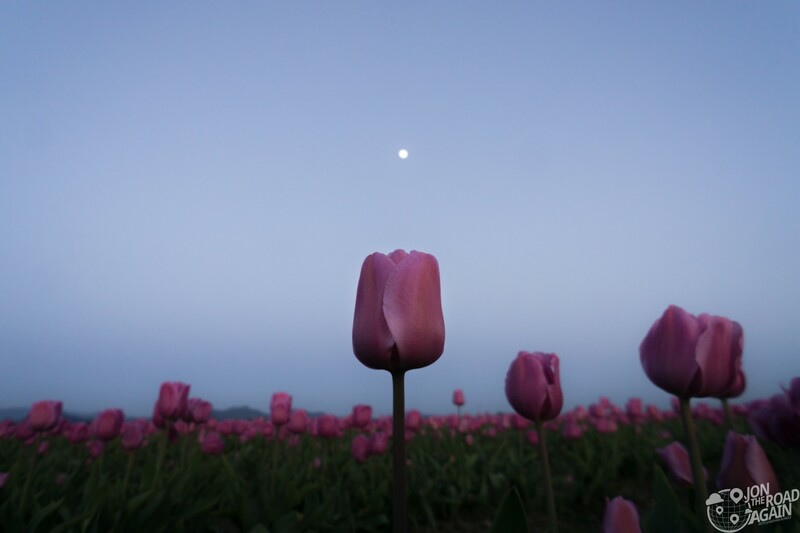 I wanted to incorporate a shot of the moon and decided to center it above this beautiful pink tulip. Looking down the paths between tulips rows are probably the most cliché photos you’ll ever see. 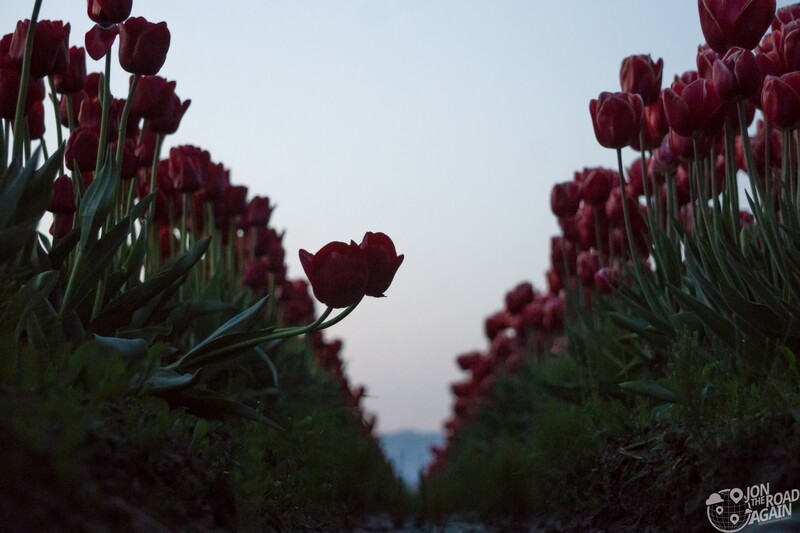 But on my way out of the field, I noticed these two tulips reaching out into the path. I thought it was interesting the way they’re venturing out together and worth capturing. 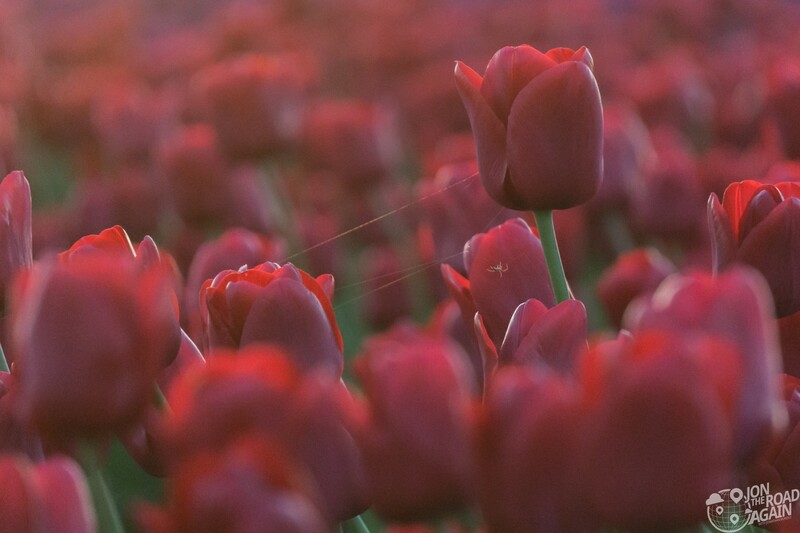 Deviations from the norm (like in the case of a wrongly-colored red tulip in a field of yellow blooms) are great ways to add interest to photos. Expect the tulip festival to run the entire month of April and in some cases extend into early May. 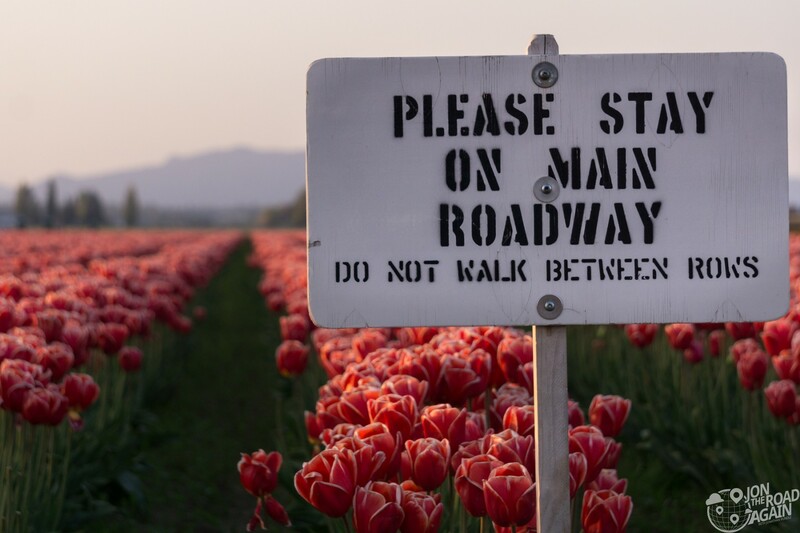 The official word on the last day of the tulip festival can be found on this Skagit Valley Tulip Festival Bloom Information Page. 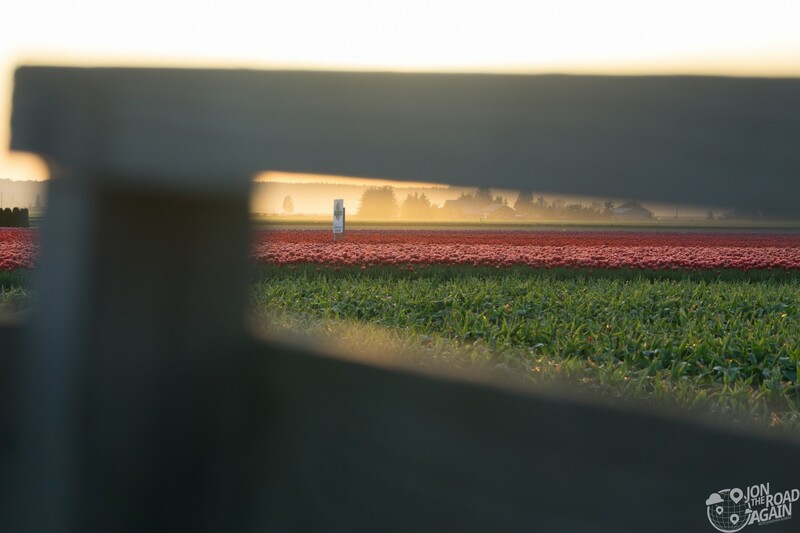 Additionally, social media is a great tool to get the most recent look at how the fields look before you make the trip. 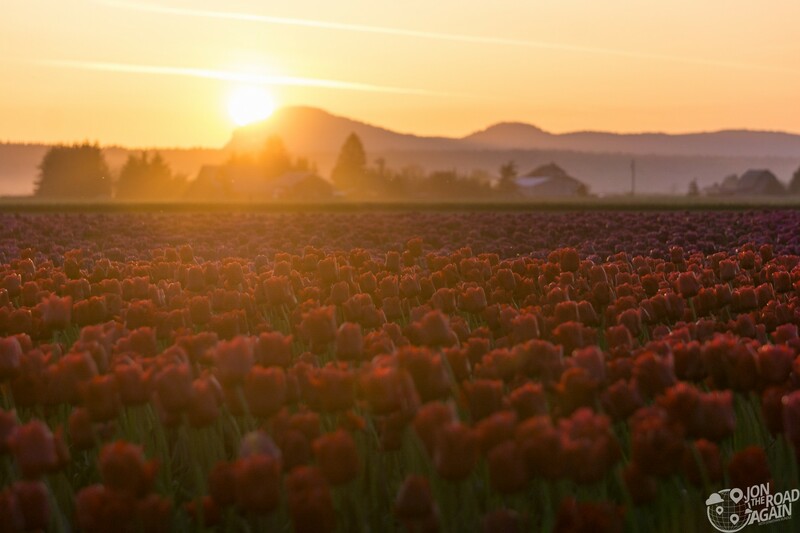 Check hashtags related to the tulip festival (such as #skagitvalleytulipfestival) on Instagram. 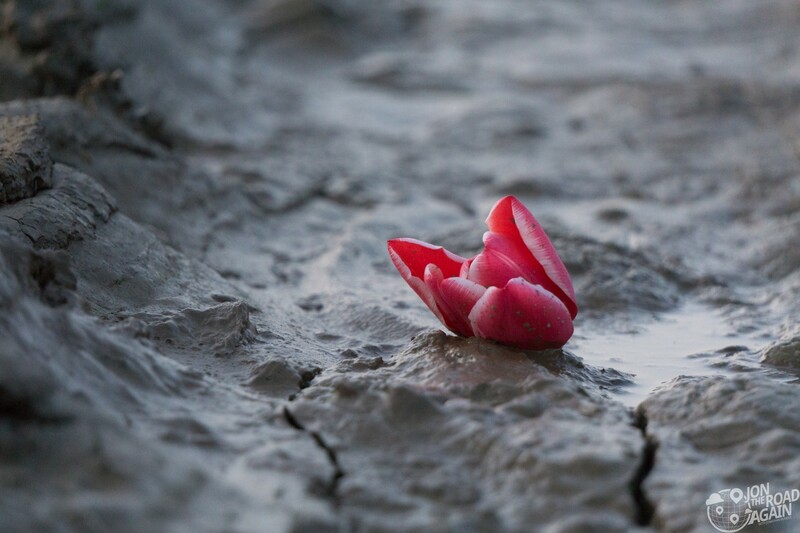 Absolutely gorgeous photos – the tulip in the mud is very Schindler’s List. I’ve been to the tulip festival in Holland, MI, but the mountains make a much more impressive backdrop than windmills and giant clogs! Thanks so much for sharing. Thank you Jamie! I totally see the Schindler’s List connection and I’m sure I will think of it anytime I see the photo. 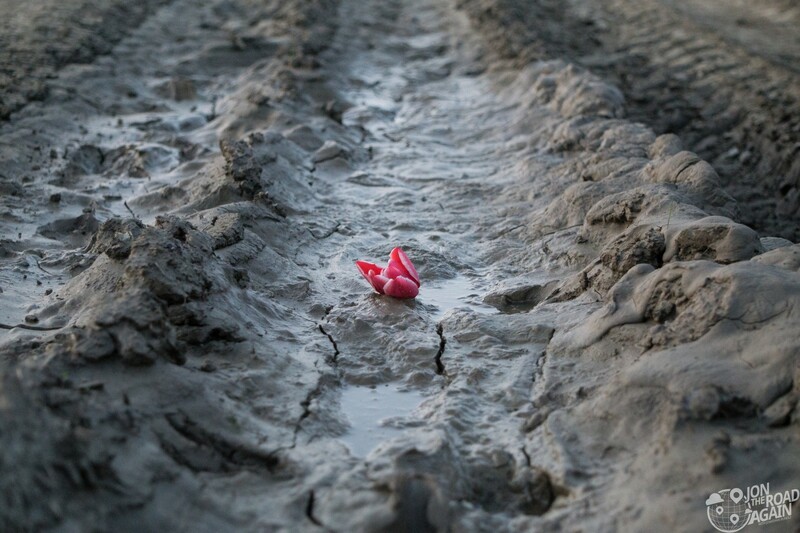 I’m certainly glad I wasn’t wearing clogs when I took on that deceptive mud puddle!